In order to fulfill the ever-evolving demands of our esteemed clients, we are engaged in providing an optimum quality array of Unslaked Lime. 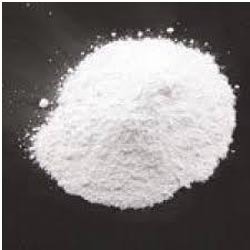 Calcined lime (or calcium oxide, or burnt lime), is obtained by calcining(controlled heating-time and temperature) limestone at temperatures above 900°c. This highly reactive product is essential to many industrial processes. Unslaked Lime is obtained by calcining pure limestone at temperatures above 900°C. This highly reactive product is essential to many industrial processes. We are offering a superior quality of Unslaked Lime, has its own high and stable quality quarry. Our company is one of the most prominent name in offering a wide range of Unslaked Lime to our most valued client's. Lime connotes calcium-containing inorganic materials, in which carbonates, oxides and hydroxides of calcium, silicon, magnesium, aluminum, & iron predominate are present.